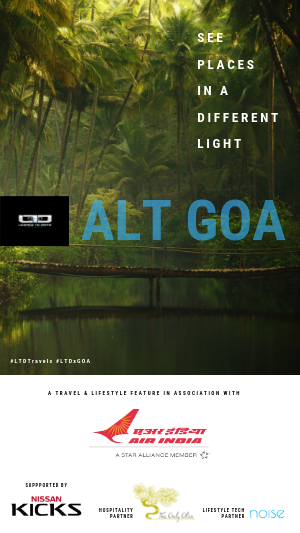 When we shared the idea of an #AltGoa feature with a friend who chucked a successful advertising career in Delhi to settle in idyllic North Goa, he suggested we stay at The Only Olive. "After all, the best way to explore alternate Goa, is to live it", he said. You can never go wrong with advice from a seasoned copywriter when it comes to understanding culture. If you grew up in the midst of farms & fields, ponds & playgrounds, The Only Olive can be an immersive plunge into childhood memories. And if you were unfortunate enough to get your world view out of a 36" apartment window in a concrete jungle, this could be your great escape. Set in an 18,000 sq. ft. estate, The Only Olive is quiet, quaint and quintessentially Goan. The century-old classical Portuguese structure has immense character. Rooms with attics, antique furniture, a 10-seater dining table, four poster beds, arm chairs - everything about the place transports you back to another era. A large airy living and dining area, three bedrooms, and a well-equipped modern kitchen makes it an ideal getaway for large families and friends who wish to rent out the entire villa, or individuals and couples who seek some solitude away from the world. The villa has been restored to provide modern amenities that cover the basics. But water is still sourced from the well. Sweet. And air conditioning is achieved through cross ventilation. It's a breeze. One would be a bit out of place complaining about the lack of internet or TV. You wouldn't be here for those. Life here is in stark contrast to the ubiquitous Goan beach holiday that everyone and their mother are diving into. Thankfully, this place still has its soul intact. Wrapped in a thick foliage of natural greenery deep inside Aldona village, The Only Olive is a place where you wake up to clean crisp air. Walk barefoot in the garden. Sing with the birds and dance with the butterflies. Relax in the balcao and smell the whiff of jasmine and frangipani in the air. Or just say hello to The Only Olive Tree, which by the way, is as old as the villa itself. Pot around the organic garden in the backyard and admire nature spring to life. Stroll down to the riverside. Go fishing or crab spotting. Sit under the bamboo deck for a sundowner and set up the barbecue. Rustle up a meal with the catch of the day. Follow the light of fireflies into the forest night. This is the slow Goan life that allows you to reflect, explore and discover an alternate world. It's the pause in the poem. The comma before the quote. The village of Aldona itself is a picture postcard of beauty, which the locals take immense pride in. Mangroves, coconut trees, backwaters, a stone bridge, heritage villas, narrow winding roads, and dense vegetation in every shade of green you could imagine - everything here is a crash course in beauty, simplicity and sustainable living. You just can't help but blend in. Here, you would be encouraged to buy local and eat local. Residents also make a conscious effort to ensure that the trickle of tourism into the inland does not contribute to additional waste generation. The Only Olive strictly discourages the use of plastic, and rightly so. You are expected to refill glass water bottles instead of buying packaged drinking water. And you must carry back your trash with you. For the simple reason that it is easier to dispose waste in urban areas than in Aldona village. Small steps such as these make a significant difference, and help build a culture of responsible tourism. While in Aldona, a visit to the 16th century St. Thomas Church and the cemetery by its side is a must. The pristine white structure makes an imposing sight against the azure blue skies, and has a distinct Mediterranean vibe. The market square nearby has a cluster of stores, a small bakery and a bar. Together, they are the epitome of the famed susegad life. A short walk from the retreat, by the side of the Corjuem bridge is Bao, a popular family run shack that serves some fine home-made Goan cuisine and fresh urak, the local brew. You could spend an entire afternoon here watching the world go by and chatting with the owner. Increasingly visitors are ditching the beach and heading inland for a more authentic flavour of Goa. Be it living, food, culture or history, travellers with nomadic instincts are seeking alternate experiences in traditional Goan villages and local culture. And The Only Olive is one such truly immersive experience in Goan village life. The Only Olive is located at Ranoi, Village Aldona, Goa, and is about an hour's drive from Goa International Airport. For reservations call Adrian Pinto at +91.99670.24680 or email info@theonlyolive.com. 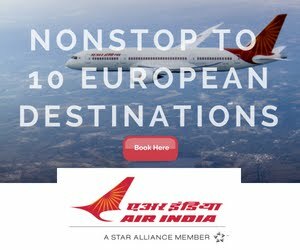 The Only Olive is the hospitality partner for Licence to Drive's #AltGoa feature - a digital series in association with Air India, that explores the other side of Goa through its evolving culture, people and pursuits.